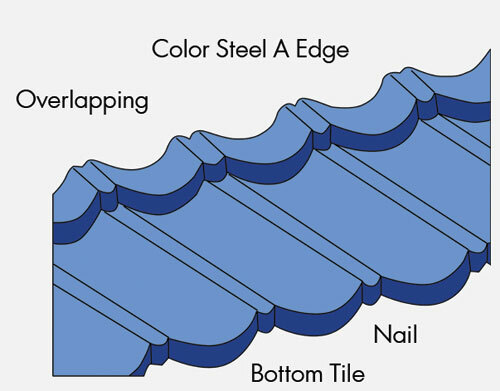 Color Steel Roofing tile process superior Long Term Resistance against corrosion is produced from Hot Dipped process Galvalume Steel Sheet and pressed to a Japanese Tile like profile. 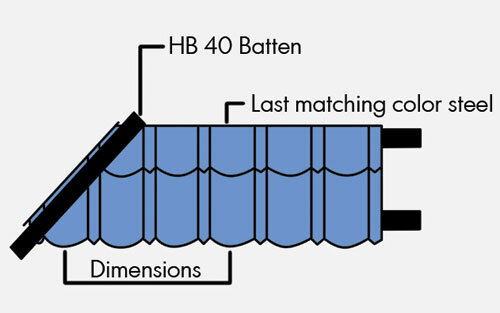 Apart from its strength, durability, reliability and resistance, it is also known for its lightweght trademark and its horizontal fixing method, whereby the roof tile is fastened through the front tile to the roof battens. 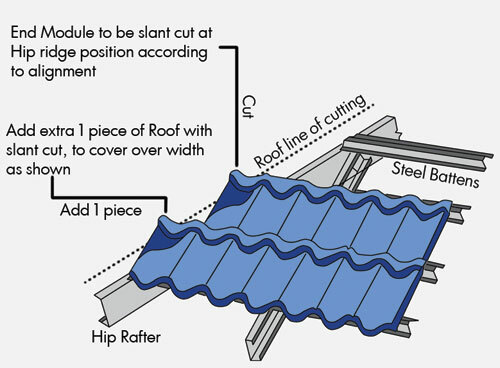 Its lightweight properties results in substantial savings for the roof structure. 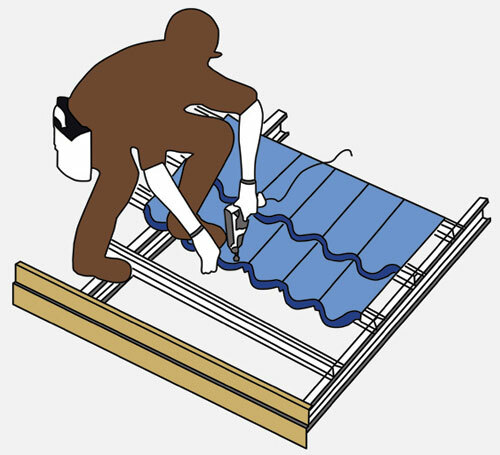 Length of Cover: 3'10" Overall Length: 8'0"
Measurement of tiles should bemade on roof so that they can be marked, cut, bend and stacked on the ground. 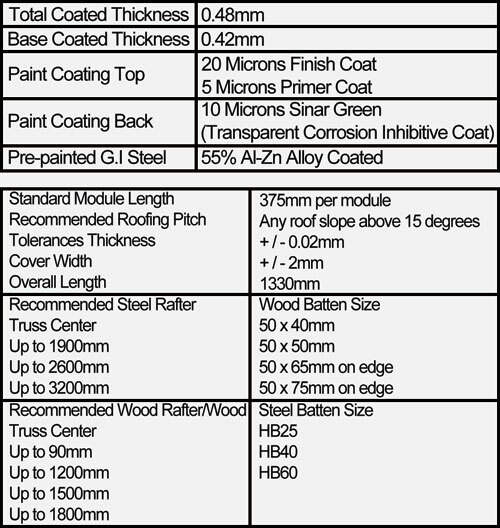 Please note the following. 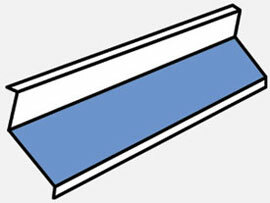 1) The measurement is taken from the last corrugation of the bottom corner of the last tile, to the hip board, along the front edge of the batten (Figure 1.4). 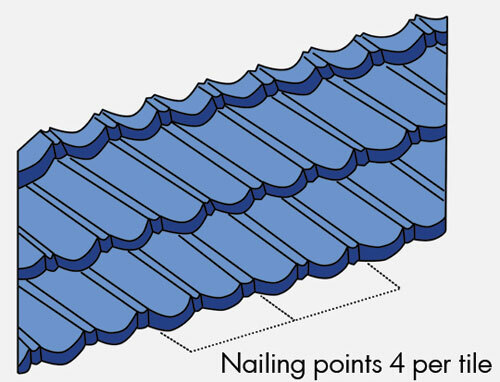 2) Measure and mark tiles with chalk ensuring the matching corrugation of the overlapping tiles to be cut, is taken as the measurement of the startung point (Figure 1.5). 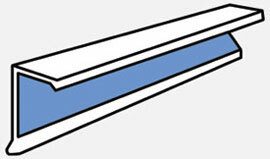 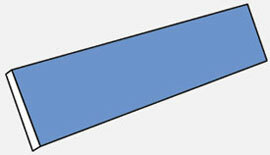 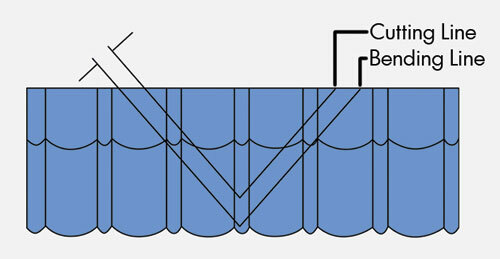 This forms the bending line (Figure 1.6). 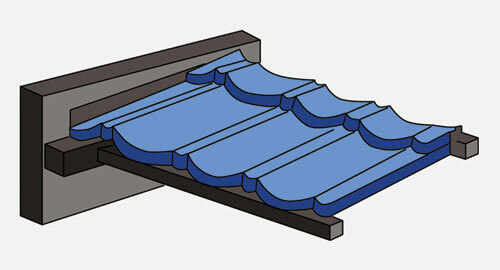 Add the height of the ridge board projection above the time line to the bending line measurement. 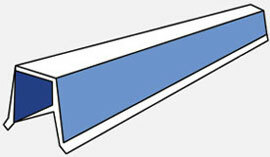 3) Marks the tiles with chalk and this forms the cutting line (Figure 1.7). 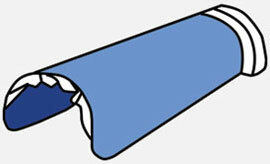 Please leave a minimum wastage.